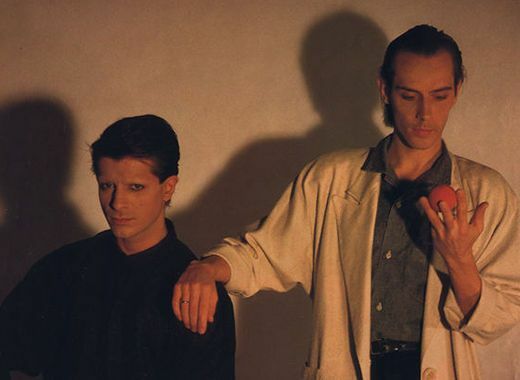 Former Bauhaus vocalist Peter Murphy shocked his fans today by announcing that he’s reuniting this September with ailing ex-Japan bassist Mick Karn to record a second Dalis Car album — the short-lived group’s first and only new record since 1984’s The Waking Hour. In a brief video posted on his Facebook page, Murphy revealed that this summer’s Dirty Dirt Tour will “be continuing in small parts until November when we have to play South America.” The only new dates announced are Sept. 9 at the Festa do Leitao in Augeda, Portugal, and Oct. 31 at the Sinner’s Day Festival in Hasselt, Belgium. Murphy made no mention of Paul Vincent Lawford, who handled electronics and percussion in the group, which Murphy and Karn formed after they left Bauhaus and Japan, respectively. Nor did he address Karn’s health; the musician announced in June that he has been diagnosed with advance-stage cancer. Karn’s supporters are collecting money to help pay for his treatment here. I actually like the Dalis Car album, seems I am in the minority though, for some reason. I am confused about a fundraiser for Mick Karn though. He lives in England, correct? They have the NHS which should leave him with no medical bills. If it is for general living expenses that makes perfect sense but he should not go bankrupt due to getting cancer. Unlike in the U.S. if you happen to get an expensive medical condition and have no insurance or inadequate insurance. I believe Mick lives in Cyprus. looking forward to the 4 songs that he and peter completed that are supposed to be released as an ep in 2011.
always loved ‘the waking hour’…not a bad song in the lot.